If you have been put in charge of someone’s estate, then you want to get those matters settled as quickly as possible. They will definitely be a lot of paperwork to sign off on. That includes stipulations as to how to handle the property associated with that estate. 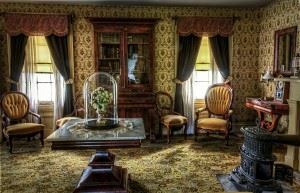 In some instances, the money you generate from an estate sale would go back to the estate and dispersed among the recipients. There will be some items that are left over from a sale that no one would lay a claim to. What happens then? That’s when you bring in Junk King Atlanta South for quick estate cleanout. The typical junk removal session set up by Junk King involves two strong movers and a big truck. That’s usually what the average homeowner needs to accomplish their junk removal task. After all most folks are just tossing out a few pieces of furniture, some electronic gear and oh clothing. That will take up much room on the truck. However, when you get into an estate cleanout you could be dealing with a lot more furniture and other household goods. The two-man Junk King team can still handle this task but it might take them longer then you would want. That’s why Junk King will happily dispatch additional crewmembers and trucks in order to speed up the estate cleanout. They want to handle this as quickly as possible so that you can get back to your busy day. Before the crew starts work, you’ll have to settle on the fee. This is a price that will be based upon how those teams will pack up the truck with all the stuff. They want to get as much into the truck as possible. It takes great skill to configure furniture, boxes and other bulky items into that tight space. The crews’ years of experience with this kind of packing will net you a low end of the price scale every time. Although you may not have any use for the stuff you’re getting rid of, there is a chance it could be put back into circulation. Junk King Atlanta South will happily make drop-offs to various local charities. Nothing has to be trashed with Junk King on the job. To make sure your estate cleanout is handled fast and efficiently, put Junk King Atlanta South on the job today. This entry was posted in Atlanta South Junk Removal and tagged estate cleanout, junk King come junk removal on September 30, 2017 by Junk King. Last updated October 1, 2017 .